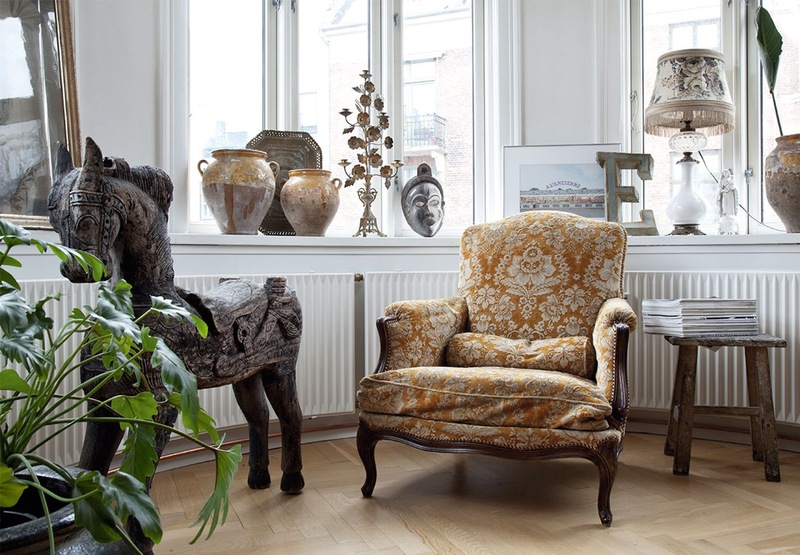 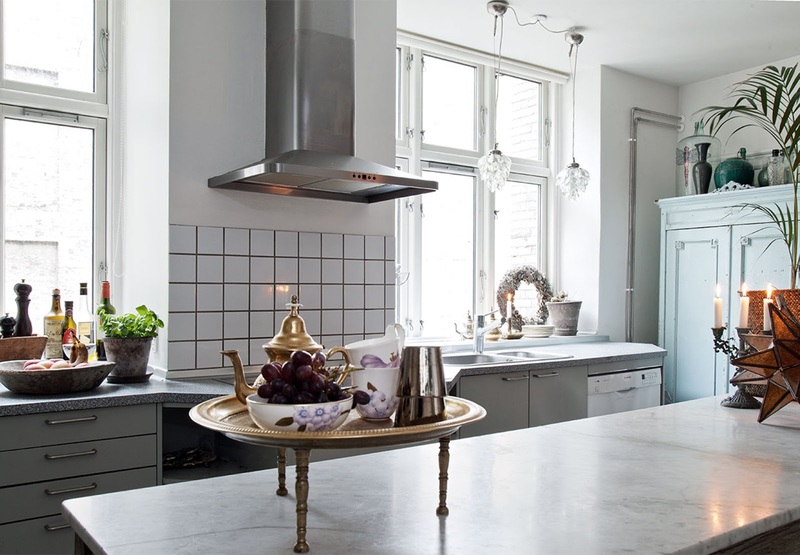 Maria Tofts apartment in Frederiksberg is truly astonishing. 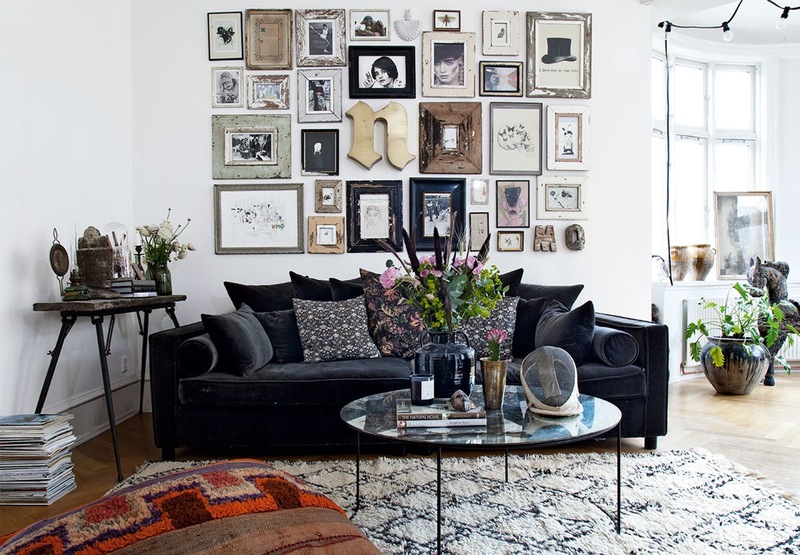 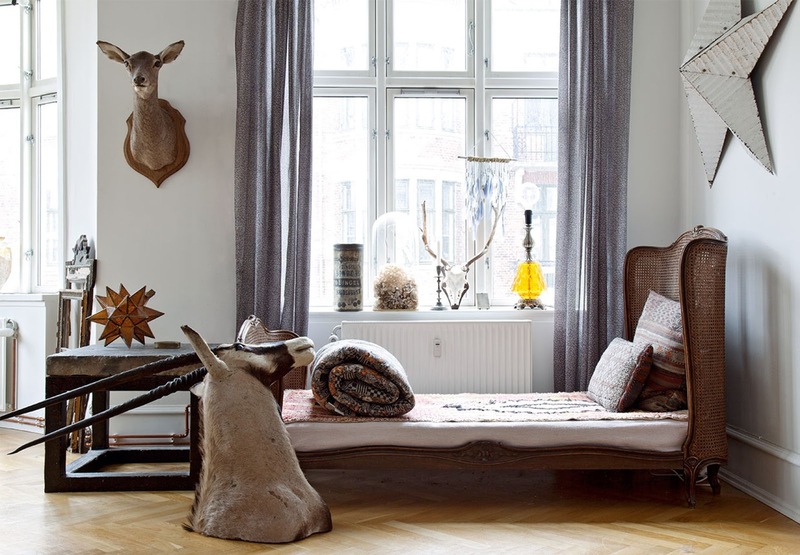 Filled with obscurities, vintage objects, art and having a strong French, bohemian atmosphere. 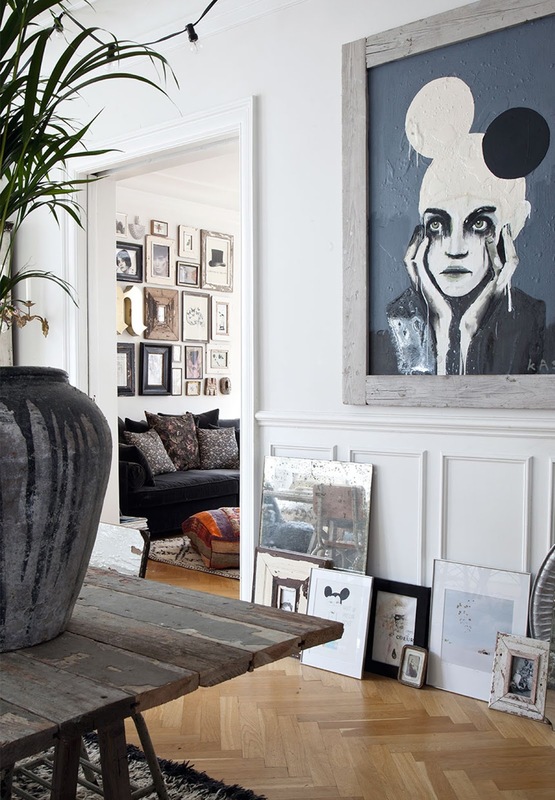 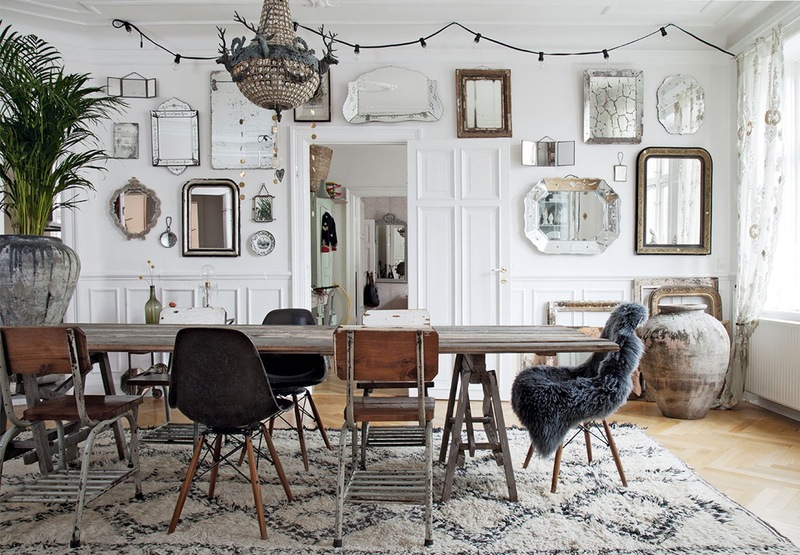 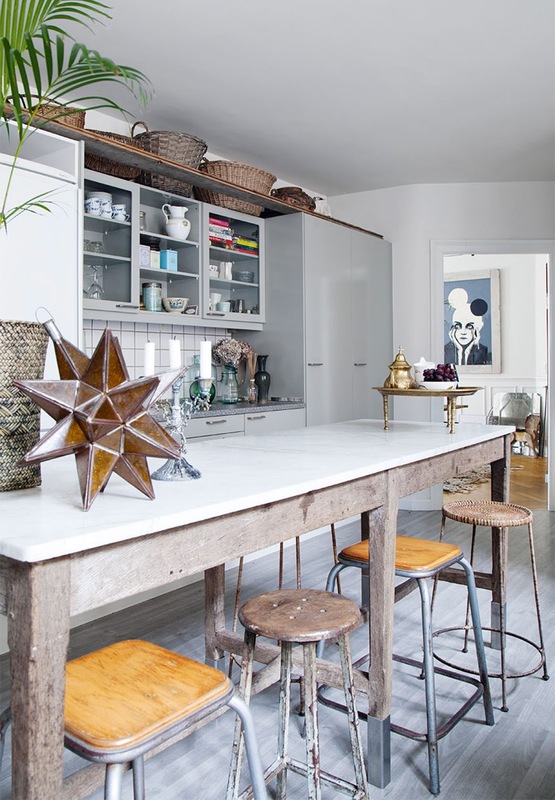 I really like the look, which has a very personal feel and all the rustic elements provide quite special look.